Two years ago, we made the decision to move to Bidsketch, and since then, we’ve saved serious time and been able to close more clients than ever. (Like nearly a million dollars in the last two years!) Naturally, I wanted to share my Bidsketch tutorial and show you how to get more clients with professional proposals. 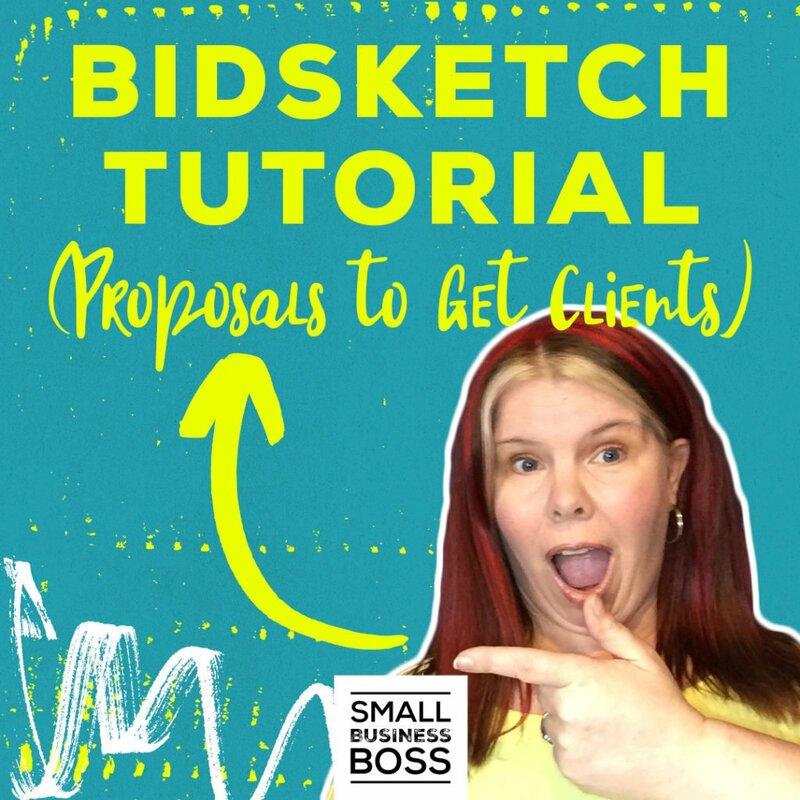 n this video, I’m going to show you how to use an amazing tool called Bidsketch to quickly and easily create your proposals. One of the things we love most about Bidsketch is that it’s fast. You can shave off a whole bunch of time from your proposal writing process because once you’ve created a template, it can be used over and over. Given that they also have a content library filled with examples, even a total rookie can easily figure out what needs to be done. Another great feature is the ability to add optional services. When someone is already looking to sign on with your services, it’s a perfect time to lay out some additional upsell options for them to consider. According to Bidsketch, people who use this feature when creating their proposals, see an increase in revenue of up to 32%. That’s a pretty awesome potential return for simply adding a few extra choices to your proposal! We also enjoy being able to see when the proposal is viewed. (Yes, we’re nosy!) We all know that the waiting is one of the worst parts of the proposal process, so knowing that they’ve viewed it lets us know after a few days that maybe it’s time for a gentle followup. And best of all, once they are ready to move ahead with everything, they’re able to use electronic signatures to close the deal in an instant. From there, you can make use of the automated approval messages to outline things like next steps or due dates for payments. If you’re ready to create proposals that convert and get more clients — then get to it! Getting started with Bidsketch to help you save big time and make more money is super easy, and best of all, just one new client engagement in a month can quickly pay for this tool!